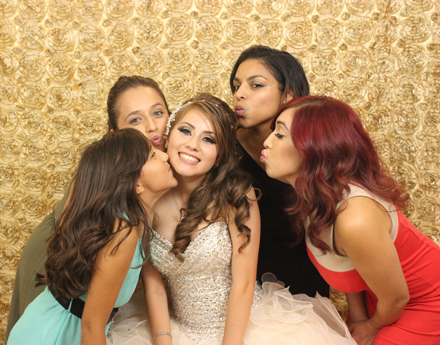 Read About Our Quinceanera Of The Year, Carisa! 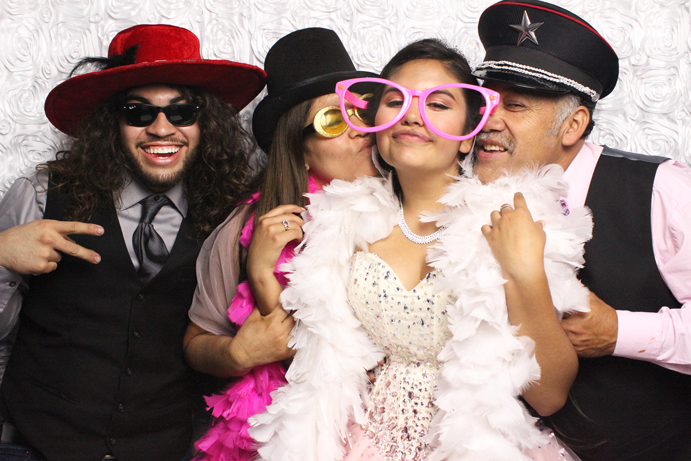 Each year One Touch Photo Booth attends the Quinceanera Magazine Expo to see the hottest trends for the upcoming year. We then tailor our set ups with colors and themes that were popular at the show. This year, vibrant colors stole the show. The traditional white quince dress was represented but the convention center was filled with eye catching pinks and teals. Please give us a call today if you wish us to match your photo strips and touch screens to your party theme and color. A designer will work with you one on one to create the perfect package for your special day.